Call Dallas Drunk Driver Accident Lawyer The Glenn Law Firm. Drunk drivers make Texas roads unsafe for everyone. For some, the injuries caused by drunk drivers are life-changing. 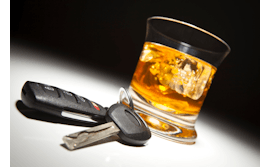 All too often, drunk driving accidents result in fatal injuries. At Glenn Law Firm, we stand up for the rights of those who have been injured by drunk drivers and families who have lost loved ones in drunk driving accidents. Personal injury attorney David Glenn has more than 30 years of experience and has recovered millions of dollars on behalf of injury victims throughout Texas. Call us today at 817-424-5999 to arrange a consultation with an experienced Dallas-Fort Worth drunk driving accident lawyer. Holding Drunk Drivers Accountable Juries do not like drunk drivers. David Glenn knows this and uses it to gain maximum leverage when negotiating drunk driving injury claims. If an insurance company refuses a fair settlement and wants to take its chances at trial, Mr. Glenn is ready, willing and able to take them on. In a drunk driving case, victims can pursue punitive damages — a money award intended to punish the wrongdoer that can significantly increase the total compensation to the victim. As your lawyer, David Glenn will fight for every penny you deserve while doing everything in his power to hold the responsible party accountable for his or her actions. Strong advocacy in drunk driving cases not only helps the injured but makes Texas roads safer for others. David Glenn is a passionate advocate for drunk driving victims and is here to help you. Injured By A Drunk Driver? We Can Help. If you or someone close to you has been injured by a drunk driver, we are here to help you pursue justice and compensation for your losses. Call us today at 817-424-5999 or contact us online to arrange a free consultation with an experienced Dallas Forth Worth drunk driving accident lawyer.